A label describes an onscreen interface element or provides a short message. Although people can’t edit labels, they can sometimes copy the content of labels. Labels can display any amount of static text but are best kept short. Keep labels legible. Labels can include plain or styled text. If you adjust the style of a label or use custom fonts, be sure to not sacrifice legibility. It’s best to adopt Dynamic Type so your labels still look good when a user changes text size on their device. The inspector where the Label class can be configured. 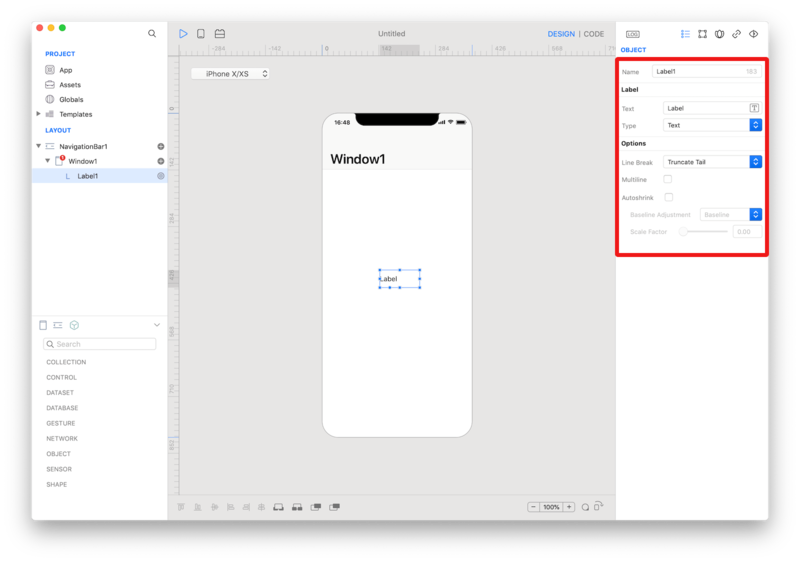 Several UI aspects can be configured in the Label class but the text, font, and textColor are the most commons to be configured. text: The text displayed by the label. font: The font of the text. Label class reference contains a complete list of properties and methods that can be used to customize a Label object.